The ore used to create the first atomic bombs came from a rich deposit of uranium and radium along the shores of Great Bear Lake, in the Northwest Territories. During the long days of summer, a wartime mining company hired local Indian men to carry 40-kilo burlap bags of ore from the mine to the Mackenzie River. They carried those loads for long hours, for months on end. When the bags ripped apart, they shifted the spilled ore off the trail, but took the contaminated bags to their temporary village. Years later, the ore-carriers began dying of cancer, and the community now known as Deline became a village of widows. Canada was thus an important contributor to the first nuclear age, which was born of the fission of radioactive elements. On March 10, the National Ignition Facility at Lawrence Livermore Labs in California trained 192 high-power lasers onto a point the size of a couple of match-heads. The ensuing reaction generated more than a million joules of energy – enough energy to theoretically light up 10,000 100-watt light bulbs. The American effort was costly, but its implications were huge. That step suggests the birth of a nuclear age in which virtually limitless amounts of inherently safe and environmentally attractive will be cheaply available. Compared with carbon or uranium fuels, fusion generates little radiation and no greenhouse gases or air pollution. Since it uses small amounts of fuel, it is likely to have little impact on land and habitat. The day before this extraordinary American achievement, a standing committee of the Alberta Legislature met to consider a proposal by which Canada would become involved in these revolutionary technologies. Canada would not supply ore, as we do for nuclear fission. After all, the fuels needed for fusion are abundant around the world. Instead, we would help develop technological expertise for the second nuclear age. Visionaries: The proposal came from a small, minimally-funded and loosely-organized group of visionaries provincially chartered as the Alberta Council of Technologies. Clearly, the goal of the media relations surrounding the meeting with the legislature was maximum public awareness. In this, they certainly succeeded. The idea is to prove that controlled nuclear fusion can become the world’s energy future. Theoretically, it could provide clean and nearly limitless electrical power for humankind, with everything that implies. It could mean a reversal of global warming and the reversal of policies by which agricultural products are transformed into fuel. According to Dr. Perry Kinkaide, the group’s chairman, his council was asking the province to contribute to a demonstration of fusion ignition. 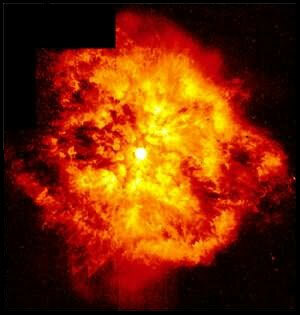 Fusion ignition, he said, “is imminent and will be one of the most extraordinary technologies discovered by mankind. We will be reproducing the physics of the sun.” When you get into the physics of this “imminent” technology, which talks about creating temperatures so hot (up to 100 million degrees Celsius) that they can only be enclosed by magnetic fields or lasers, it’s like tripping forward through a time-warp. Yet new technologies – demonstrated by the test at the Lawrence Livermore Laboratories – have changed the picture. Adds Allan Offenberger, a retired University of Alberta engineering professor and another program proponent, it is the new technology of “inertial confinement” of the heat of fusion that is changing everything. Inertial confinement uses laser beams to quickly heat to ignition a “fuel pellet” of simple atoms like the commonplace hydrogen isotope deuterium and the much less stable hydrogen isotope tritium. Because this process rapidly induces fusion, you don’t have to confine the fuel at all. The advantage: a relatively simple reaction chamber design. Even so, this is a long-term proposition. A demonstration project isn’t likely for 25 years, say, with commercial facilities following a decade after that. However, the promise is great. Once the bugs have been worked out, the fusion energy could be very cheap. Canada is the only major industrial country without a fusion research presence. Given the country’s energy wealth, proximity to the United States and trade surpluses, perhaps that’s not unreasonable. I put the question to someone with the broadest imaginable view of electricity supply and demand within Alberta. Technological Dominance: At the time of our interview, Martin Merritt was completing his term as the Alberta government’s Market Surveillance Administrator. His job was to make sure electricity and natural gas markets within the province were free and fair. Although he was quick to say he had no expertise in nuclear fusion, he surmised that “The best place to do this would be in the US, where the problems of energy supply, environmental problems, worries about global warming and the need to remain technologically dominant are so powerful. Europe also has those problems. In that sense, the timing seems perfect” to be developing these technologies. While the notion of fusion energy is closely tied to the generation of electricity, perhaps it could meet an oilsands challenge which went untried during the optimistic early years of the first nuclear age. Fifty years ago, Richfield Oil Company proposed an experimental plan to release liquid hydrocarbons from the oilsands through the expedient of an underground nuclear explosion. The company proposed detonating a nine-kiloton explosive device below the oil sands at a site 100 kilometres south of Fort McMurray. Thermonuclear heat would create a large underground cavern and simultaneously liquefy the oil. The cavern could serve as a collection point for the now-fluid bitumen, enabling the company to produce it. This idea came remarkably close to actually taking place. The project received federal approval in Canada, and America’s Atomic Energy Commission agreed to provide the device. But before the pilot could take place, public pressure for an international ban on nuclear testing had mounted. As the late Ernest Manning once told me, when he was premier the provincial government withheld approval and thus killed the plan. Perhaps in the second nuclear age, energy from nuclear fusion could become a safe and realistic heat source for producing and refining the dense oils Canada is famous for. This idea may sound far-fetched until you consider that in Peace River Shell is already testing the use of electric heaters to refine bitumen carbonates in situ, deep inside underground formations. When you start talking about a second nuclear age, nothing seems impossible.